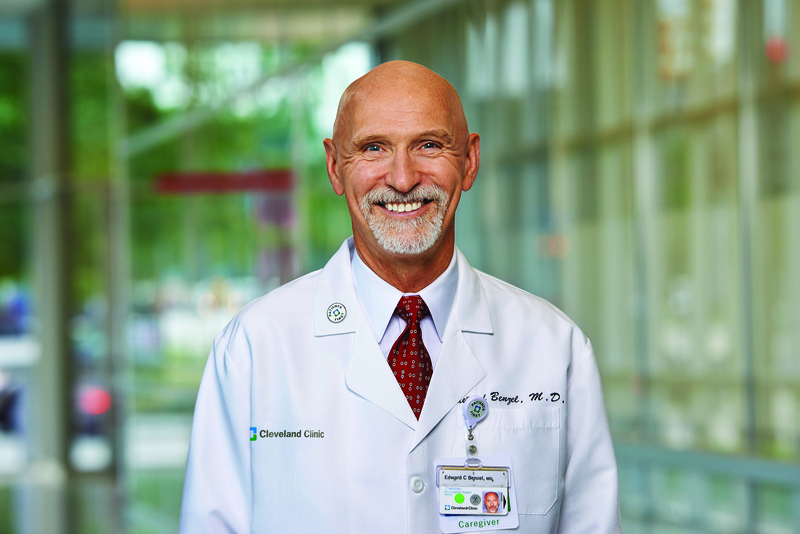 Edward C. Benzel, MD, FAANS, is emeritus chairman of neurosurgery at Cleveland Clinic (CCF) and professor of neurological surgery at the Cleveland Clinic Lerner College of Medicine. Late 2016, he was appointed Director of Career Development, and Patient Experience Officer in the CCF Neurological Institute. He is one of the founding members of the Lumbar Spine Research Society, formed in 2007. Dr. Benzel’s major clinical interests focus on spinal disorders, including cervical spondylosis, syringomyelia,complex spine instrumentation and spine tumors. Clinical research has encompassed such issues as hydrocephalus, neonatal hemorrhage, cerebrovascular disorders, cranial trauma, critical care, brain death, microelectromechanical systems (MEMS) and, of course, spinal disorders. Dr. Benzel’s continual rigorous review of clinical and research content for multiple professional neurosurgical and spine publications contributes significantly to the body of literature. He became the editor-in-chief of World Neurosurgery in 2015. Dr. Benzel has participated in several medical advances, but he is best known as an educator. He initiated and directed the neurosurgery residency training program and the spine fellowship program at the University of New Mexico and has been instrumental in the development and success of these programs at the Cleveland Clinic. His innovations in neurosurgery resident education have won accolades and numerous awards.